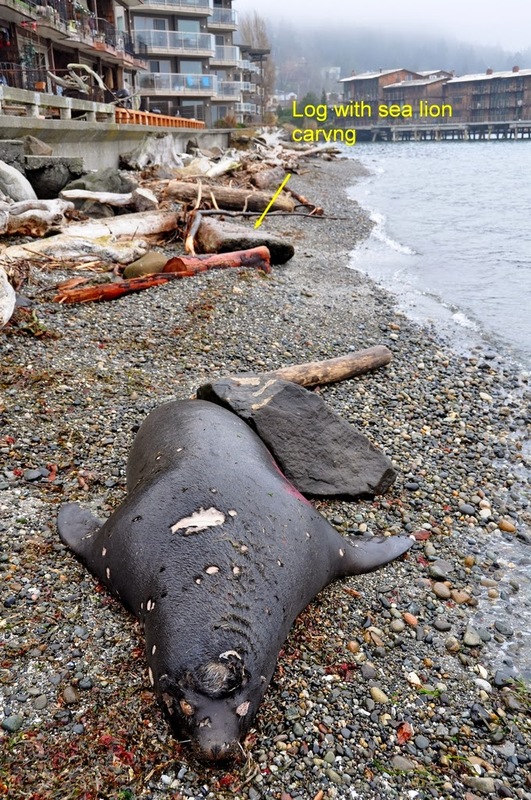 In previous posts I have presented the story of the dead sea lion that ended up on Alki beach within feet of a large log with a sea lion carving on it......that was strange. 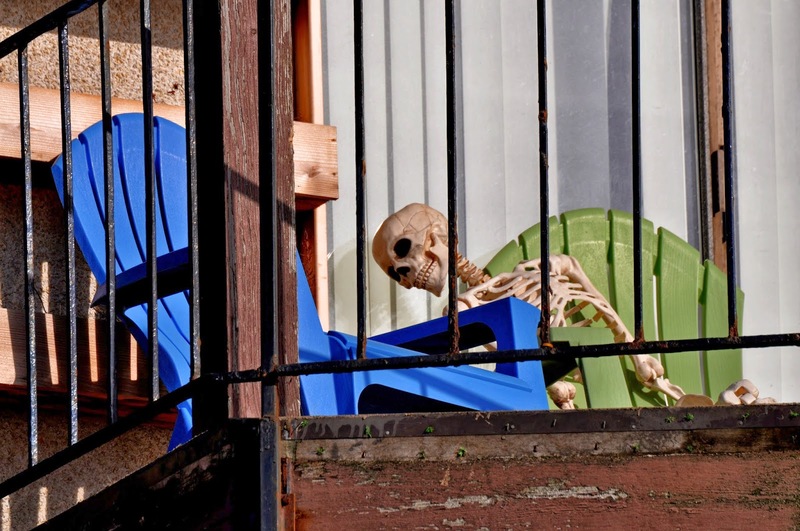 Now we can add another bit of strangeness to the story. Last night a high tide moved the dead sea lion about 20 yards south of it's original position on the beach. The sea lion ended up in front of the next condo complex. 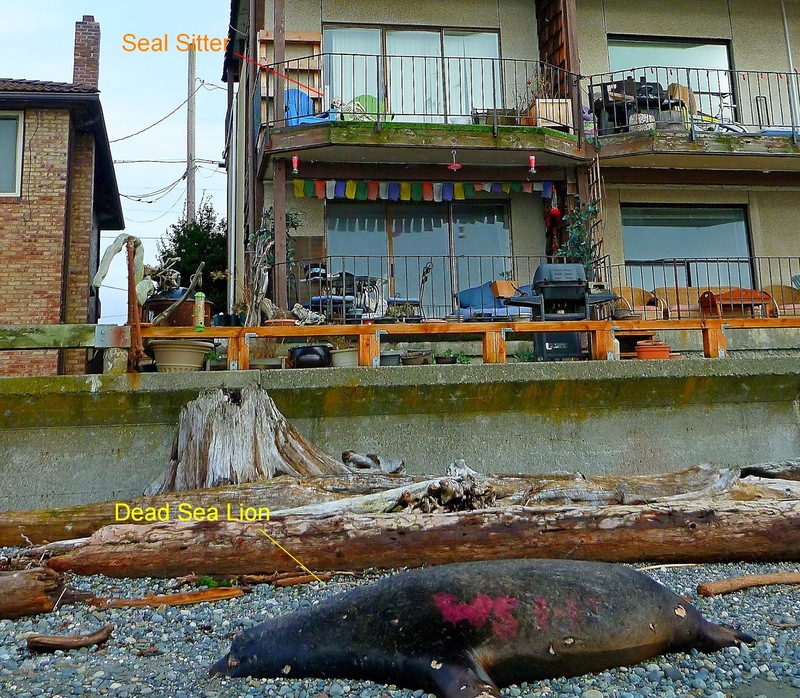 On the second floor level condo deck was sitting the perfect Seal Sitter for a dead sea lion......Images tell all.